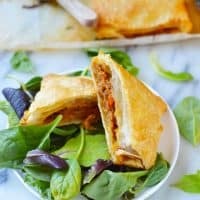 This Instant Pot pulled pork and mango pasties recipe makes a great lunch or dinner and can be made and frozen for a quick and easy freezer meal later! Pasties are a Minnesota staple. Traditionally, they are made with ground beef, potatoes, carrots, onions and rutabaga. 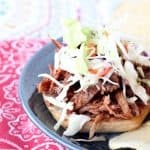 This is a spin on the traditional recipe and utilizes my favorite appliance, the Instant Pot, to make the most juicy pulled pork to fill your pasties. It also removes a lot of the work involved with pasties. These are more of a hands-off recipe compared to the time-consuming pasties I’m used to making! 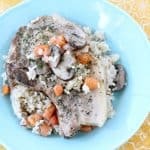 This recipe takes a bit of time to make, but most of the time is spent hands-off while the Instant Pot does the hard work. 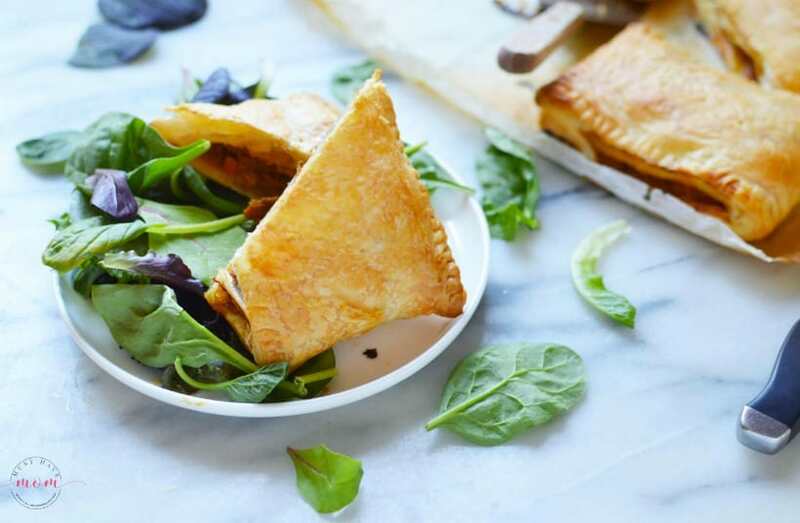 A little quick assembly and you’ll soon have a new favorite recipe on your plate! 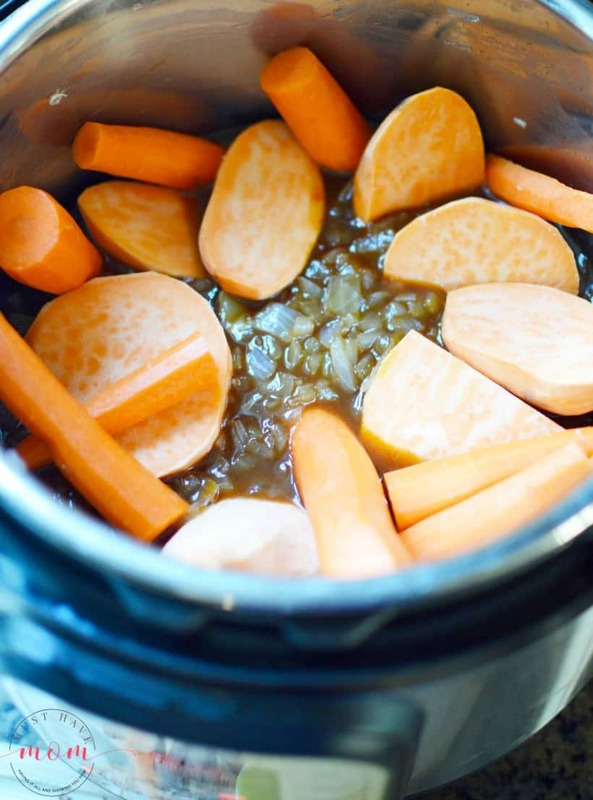 Wash and peel the sweet potato and carrots, cut into large, uniform pieces. Set your Instant Pot (IP) to the sauté mode on high. Heat the oil and seasonings then cook through and brown the onions. You get fantastic flavor from this step so its worth the time! When the onions are almost done, slide them off to one side or remove from the inner pot and sear all sides of the pork. Pour in the bbq sauce and pale ale or apple juice, water and coat the onions and meat. Place the cut vegetables on top and add the lid. Make sure the seal is on correctly and the vent is set to sealing. Set the pot to Manual mode high for 85 minutes and then do a natural pressure release for 20 minutes. Carefully remove the lid and everything should be fork tender. Mash in the vegetables while pulling the pork, they will help thicken the richness and sauce. 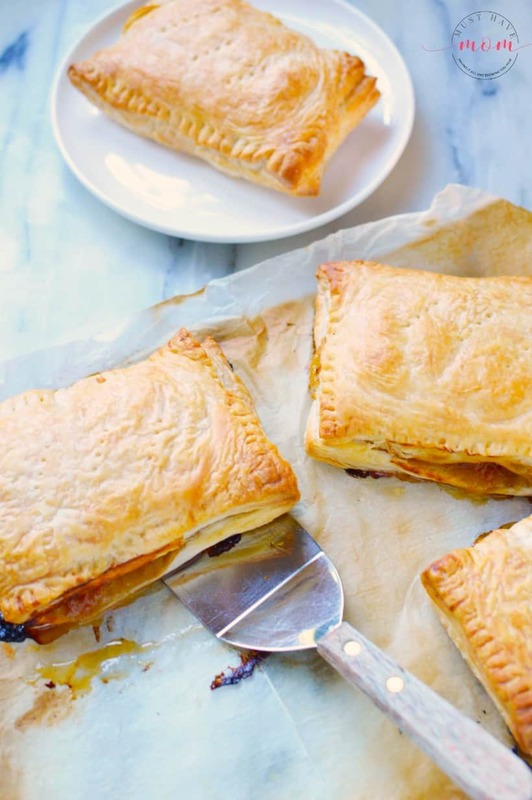 Heat your oven to 400 degrees, roll out the puff pastry dough on a tray lined with parchment paper. Cut the dough into four equal pieces (or however many you would like, just adjust the cook time accordingly). Mix in your small pieces of mango and then spoon the pork and mango onto one side of each pastry dough piece. Fold the other half over (like closing a book) and use a fork to press down and seal the edges closed. You may cut seam vents or leave them closed, we typically leave them closed. Bake for 30 minutes or until golden brown and fully puffed up. Allow to cool for a few minutes before cutting with a serrated knife. These freeze really well! After letting them fully cool, simply wrap them individually and tightly in foil and then place in a zip closing bag with the air removed. 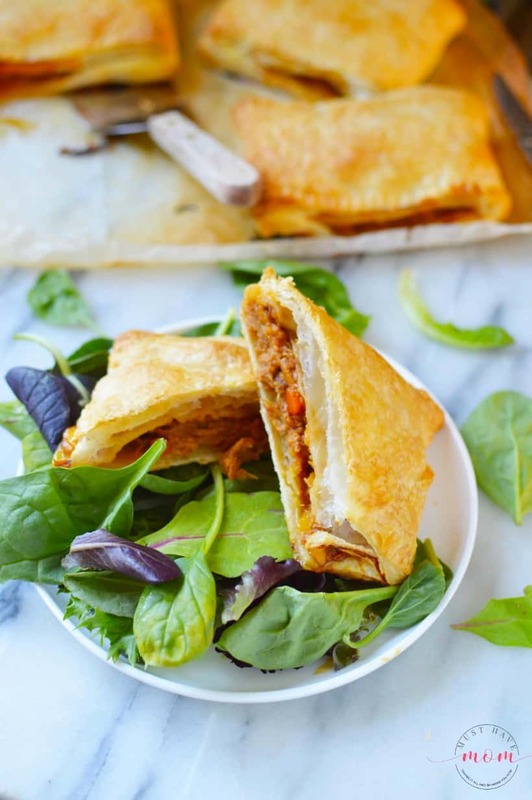 These Instant Pot pulled pork and mango pasties are a spin on traditional pasties and they also freeze well! Set your Instant Pot (IP) to the sauté mode on high. Heat the oil and seasonings then cook through and brown the onions. You get fantastic flavor from this step so its worth the time! When the onions are almost done, slide them off to one side or remove from the inner pot and sear all sides of the pork. 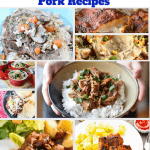 Pour in the bbq sauce and pale ale or apple juice, water and coat the onions and meat. Place the cut vegetables on top and add the lid. Make sure the seal is on correctly and the vent is set to sealing. Set the pot to Manual mode high for 85 minutes and then do a natural pressure release for 20 minutes. 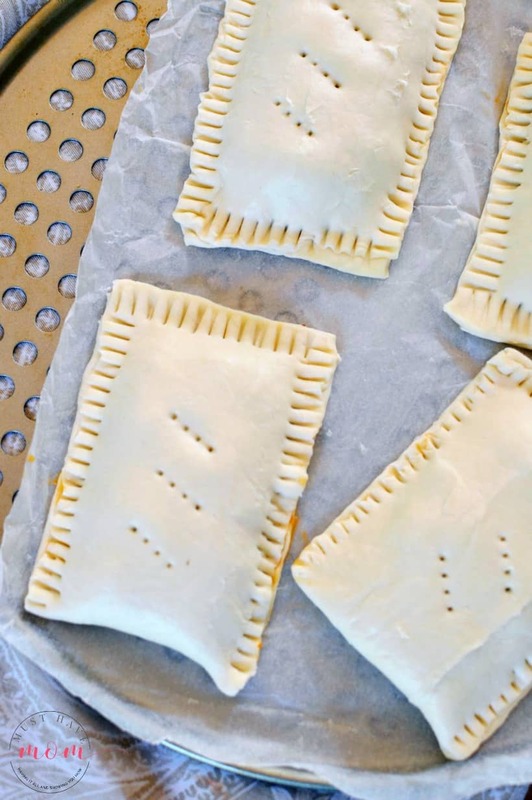 Heat your oven to 400 degrees, roll out the puff pastry dough on a tray lined with parchment paper. Cut the dough into four equal pieces (or however many you would like, just adjust the cook time accordingly). 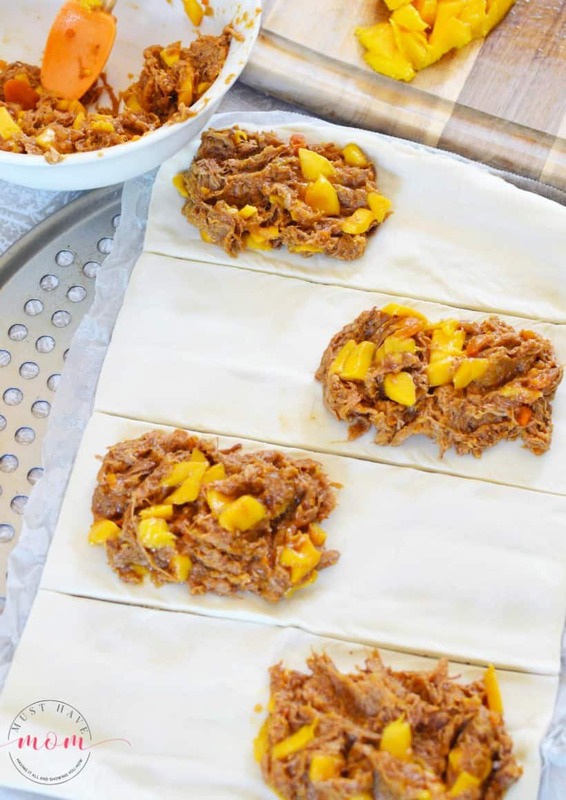 Mix in your small pieces of mango and then spoon the pork and mango onto one side of each pastry dough piece. Fold the other half over (like closing a book) and use a fork to press down and seal the edges closed. You may cut seam vents or leave them closed, we typically leave them closed now. What an interesting recipe. 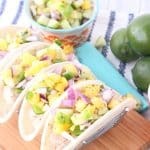 These look pretty good and would love to try them. These sound great! I don’t have an instant pot. Do you think this would work in the slow cooker? Yes, I don’t see why not. Let us know if you try it!